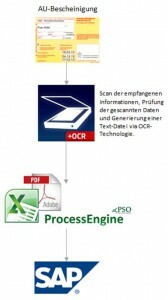 The add-on “PSO Scan” is based on the framework of the PSO process engine. It is a building block for calling, to validate and to restore the scanned data to / from a log table. The log table in this case represents the interface of both. 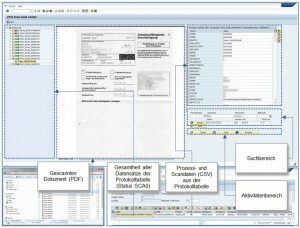 With the data validation scanned files must be reviewed and approved for accuracy. This is necessary since a 100% detection never can be guaranteed. During the transfer, conversion and assignments already be made on the basis of AU data to the relevant personnel number. Double-click on the respective desired AU dataset (left screen area) is / are the resident shownn certificates. 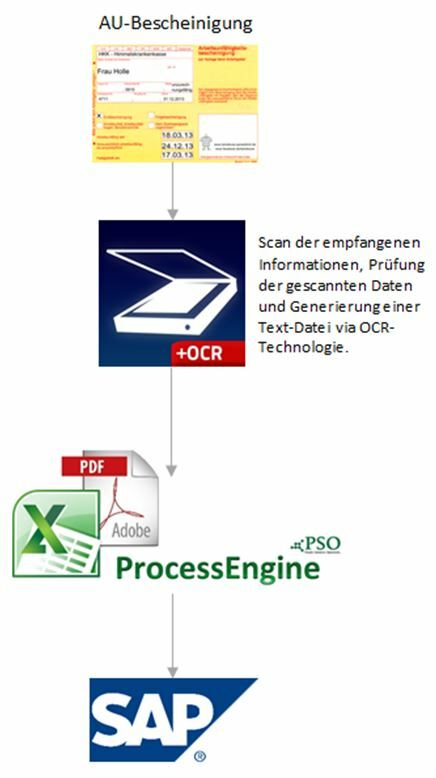 About This PDF, Users have the opportunity to compare the scanned AU (within an image) with the AU data of the certificate for correctness. Here, the AU-process data are displayed, which can be controlled via Customizing. For each field there is an indicator for an error, for example, the “BEGDA” box incorrectly recognized. 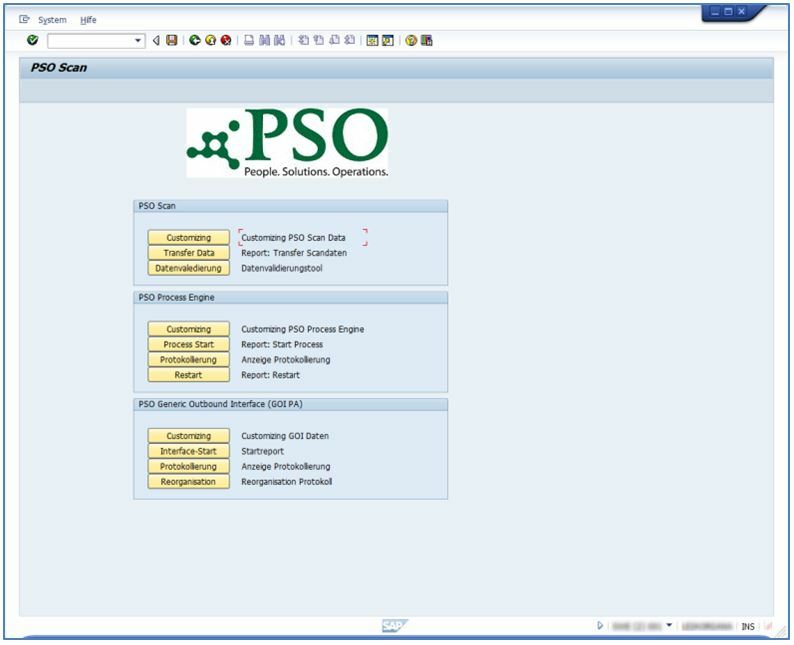 Search fields to identifying and assigning the relevant personnel numbers. For this purpose there is a search help with appropriate selection criteria. During the AU-process appropriate technical and functional tests are performed, so that an update is performed only if the correct data is available. Error messages and information can be tracked and analyzed by the log table (field Messages) at any time. Locked personnel numbers will not be processed, but driven again by a restart functionality. Has established a personnel number? Format for the start date? Format for the end date? Format of the date of issue? primary and / or secondary certificate recognized? Further tests may be deposited. 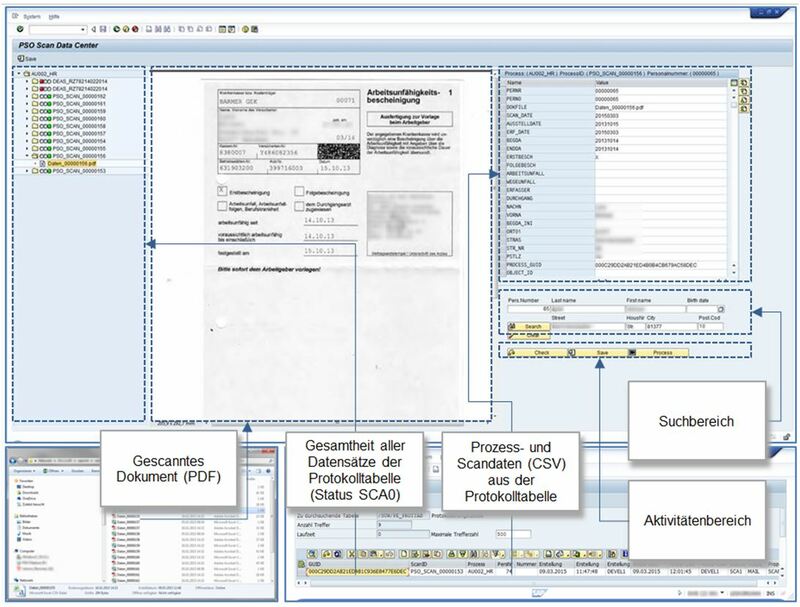 Testing of authorization object “P_ORGXX”, authorization field “SACHP” at start of the report (Clerk for HR master data). 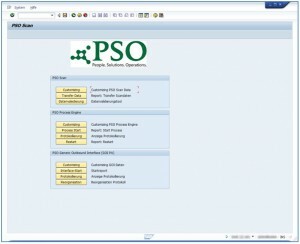 Process examples of the solutions “PSO Process Engine / PSO scan” can be found here.